The logo of Santander bank is seen on the wall of a branch in Monterrey, Mexico November 24, 2016. Picture taken November 24, 2016. Santander on April 12 announced an offer to take full control of its business in Mexico in a deal potentially worth around 2.6 billion euros ($2.9 billion). 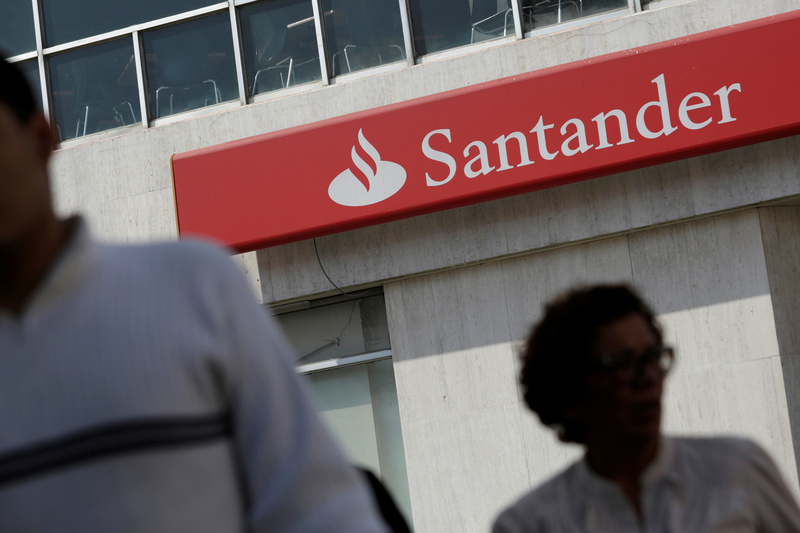 Santander, which currently holds around 75 percent of its Mexican subsidiary which listed in 2012, said it would issue up to 572 million new shares, equivalent to up 3.5 percent of Santander’s total shares in issue, to finance the voluntary offer. Santander will offer 0.337 of its shares for each share of Santander Mexico and 1.685 American depository shares (ADS) of Santander per ADS of Santander Mexico. Santander said the exchange ratio represented a 14 percent premium based on Santander and Santander Mexico’s closing prices on April 11. Chief Financial Officer Jose Antonio Garcia told analysts the bank was confident about Mexico's long-term prospects. "We see this as an opportunity to increase our exposure to Mexico," he said. Santander shares were up 0.5 percent at 4.50 euros by 0845 GMT on April 12.